There was a jump for sales of newly-built single-family homes in the GTA in February. The Building and Land Development Association (BILD) says that there was a 147% year-over-year increase in sales to 639, making the highest number of single-family homes sold in the region since April 2017. However, the total was 50% below the 10-year average. The report, using data from the Altus Group, also shows that sales of new condominium apartments in low, medium, and high-rise buildings, stacked townhouses, and loft units, totaled 772 units, down 58% from February 2018 and 51% below the ten-year average. Benchmark prices showed slight moderation from the previous month, while year-over-year the benchmark for new single-family homes was $1,122,682, down 8%, and the benchmark price of new condominium apartments was $792,709, up 8.6% over the last 12 months. 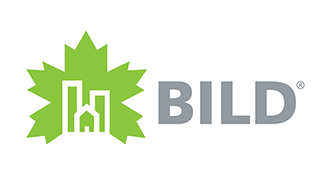 Supply issues remain and BILD is calling for municipal and provincial governments to tackle the issues that are restricting home building in the GTA. While optimistic, the association also remains concerned about the impact of the mortgage stress test.